Search "One Day in Shenzhen"
This article was originally published on April 1, 2011, in the Shenzhen Daily. The information was accurate at that time, and may be outdated now. Use with caution. There's a little-discussed area out in Bao'an, Xixiang by name. Modern buses and cars speed past it on the Guang-Shen Expressway from central Shenzhen to Guangzhou; but what a lot of history it holds! History buffs will remember that at one time, Shenzhen was known as "Bao'an County." And the Xixiang area (with nearby Xin'an and Nantou) was the heart of that entity. 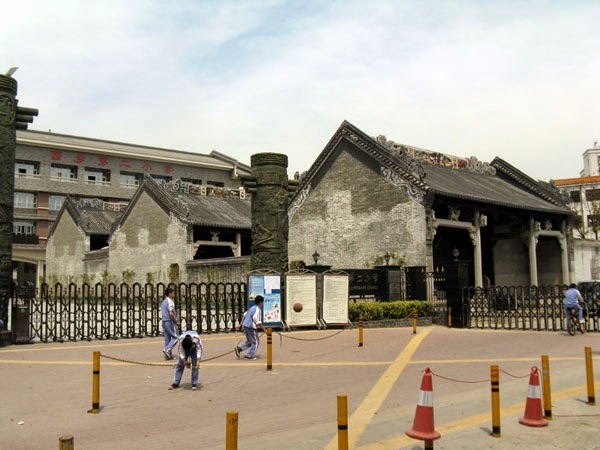 On a recent wander through the back streets of Xixiang Zhen, I ran into one old family hall after another. One of these was surrounded by a modern elementary school; another was abandoned and full of foliage. Yet another was situated on a D-shaped pond, like many of the old Hakka villages of Longgang. 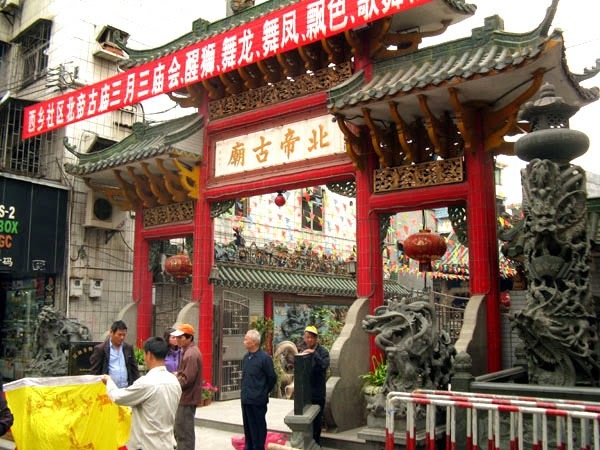 But the prize of that afternoon's ramble was the ancient temple to Bei Di, "Emperor of the North," located near the north end of the Xixiang Commercial Pedestrian Street. And as luck would have it (every wanderer's dream) the local people were out in numbers, getting ready for this weekend's celebrations. You see, not only is this Qing Ming, but it's the "Third of the Third Month" (三月三) Temple Fair in celebration of Bei Di's birthday, which was named part of China's Intangible Cultural Heritage in 2010. Unfortunately, the Emperor himself was not in; he had been removed from his throne on the altar and placed in a remote location, to be ceremonially returned during the festival. © 2014-2016 James Baquet. Copying prohibited except by permission.. Travel theme. Powered by Blogger.